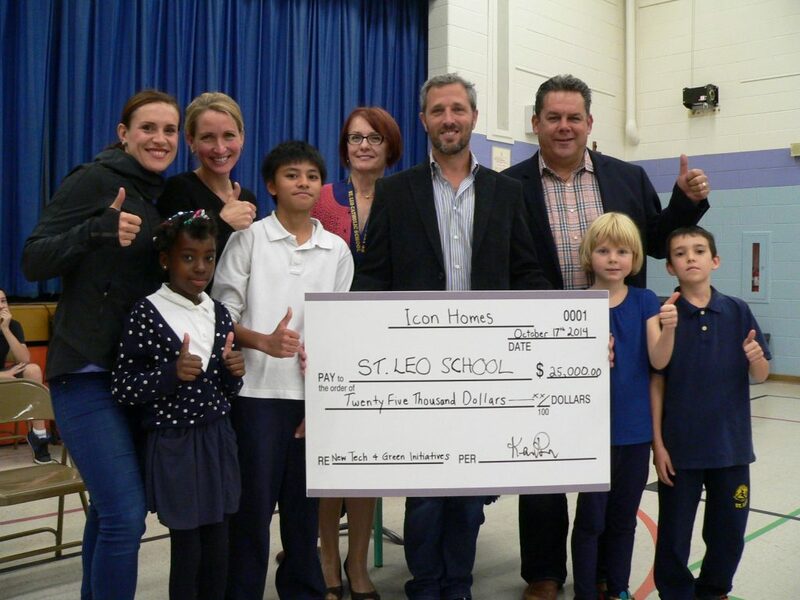 Icon Homes, the developer of The Royal York Urban Towns, presented George R. Gauld Junior School and St. Leo’s Elementary School in Mimico with cheques for $25,000 each last week. 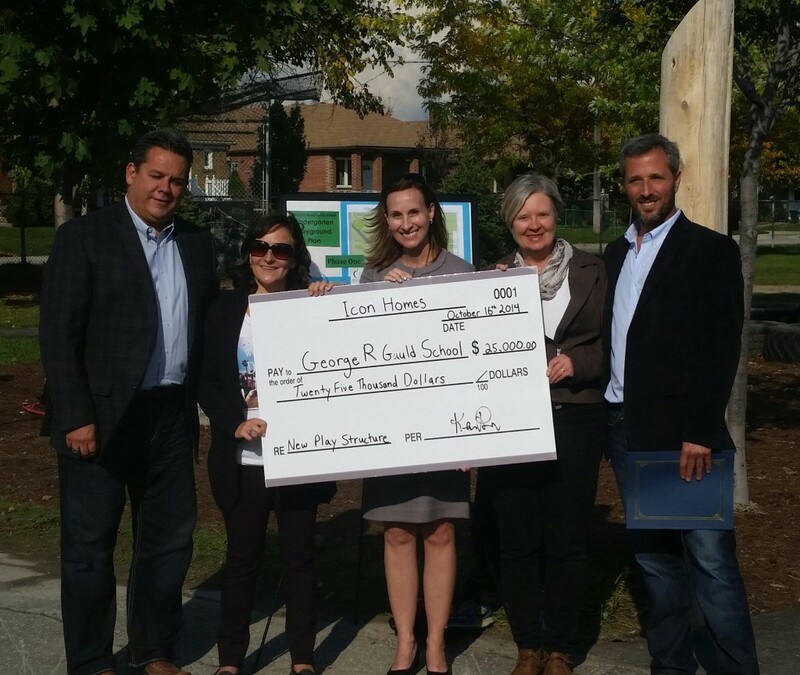 George R. Gauld will be putting the money towards outdoor play equipment for kindergarten students, while St. Leo will use their donation for technology equipment, as well as to sod and plant a paved area. Local Councillor Mark Grimes and Icon Homes’ Kevin Brown were on hand to present the cheques to school representatives. Started in 1963, Icon Homes carefully chooses high-quality products and incorporates energy-efficiency into every home design. Icon Homes’ latest project, The Royal York, is a new master-planned community in the heart of Mimico — steps away from the TTC and Mimico GO Station and 10 minutes from downtown Toronto. The Royal York’s 104 units include one, two and three-bedroom designs from 526 to 1,590 square feet that start in the low $200,000s.